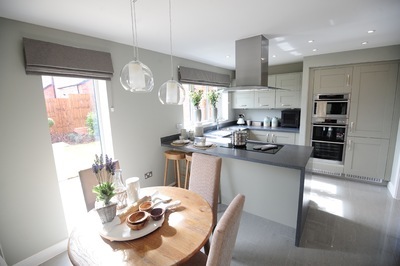 The strength of the property market in the East Midlands is encouraging more people to make the move to a new home in Chellaston, according to Ashberry Homes. The housebuilder has seen an increasing number of enquires at Bowbrook, a development of new homes which is being built on land off Fellow Lands Way. According to Rightmove, the average house price in Chellaston is currently £236,719, an increase of 15 per cent from 2016 and up 20 per cent on 2006 levels. The increases are set to show no slowing down either with recent forecasts from Savills suggesting that house prices in the East Midlands are set to grow by a further 14 per cent over the next five years, which is twice the rate of growth expected in London. Sales and Marketing Director for Ashberry Homes, Stephen Rose, said more people were now seriously looking to move to a new home to beat any future increases. He said: “Bowbrook has proved to be one of our most popular developments over the last few months, and the continued strength of the market in the region is convincing many that now is a good time to buy. “The East Midlands property market is outperforming most other regions in the UK at the moment, and we’ve seen no signs to suggest that this will slow down anytime soon. We’ve seen higher levels of enquiries, visitors at our developments and sales have increased as well. “People can still access low mortgage rates at the moment, and the continuation of the Help to Buy scheme is undoubtedly helping more people to purchase their first home, or buy a larger property and essentially skip a step on the ladder. Ashberry Homes is building three, four and five-bedroom homes at Bowbrook. For more information, go to ashberryhomes.co.uk.